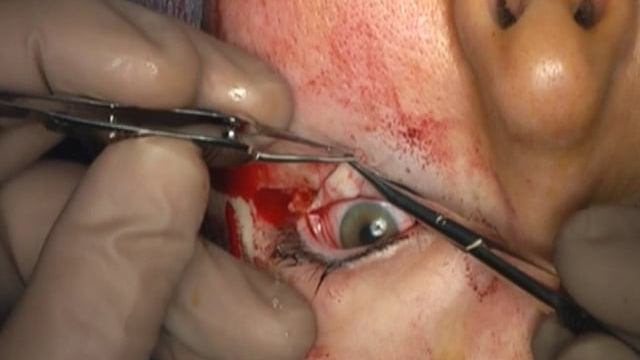 Welcome to the eyelid section of EyeSurgeryVideos.net, which contains ultra-high quality, narrated eyelid surgery videos. These videos demonstrate and explore the relevant anatomy, techniques, complications of a wide range of surgical procedures such as ptosis and blepharoplasty correction, eyelid tumour excision and reconstruction and entropion and ectropion surgery and will hopefully be of benefit to even the most experienced surgeons. 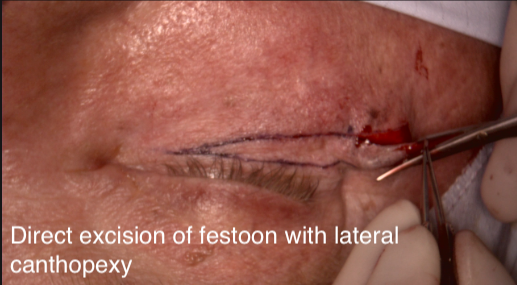 This narrated video demonstrates the direct excision of lower lid/upper cheek festoons and reviews the anatomy and pathogenesis of festoons and the medical and surgical management and potential complications. This video has been created by Dr Valerie Juniat. 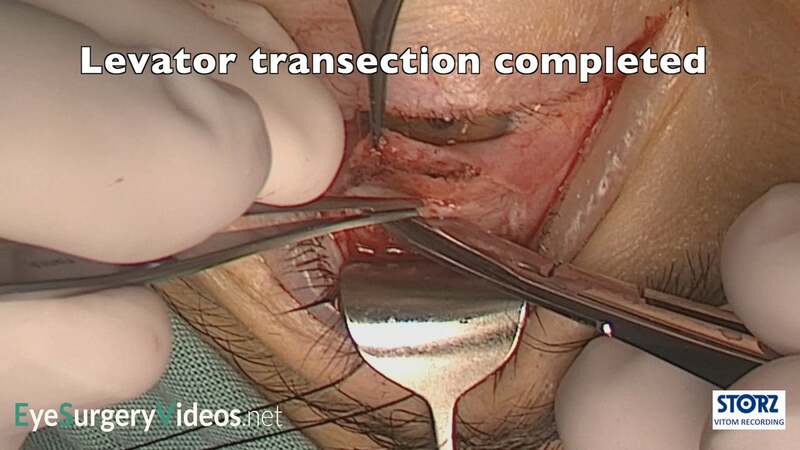 This narrated video demonstrates upper eyelid skin only blepharoplasty surgery and discusses the different techniques for incising the skin and the hypothesised advantages and disadvantages of excising orbicularis muscle. 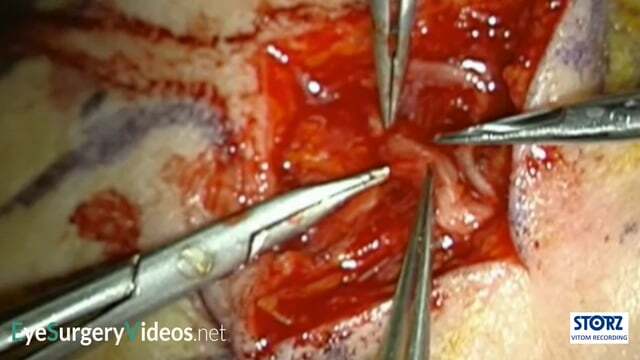 This narrated video demonstrates excision of herniated subtenons fat. 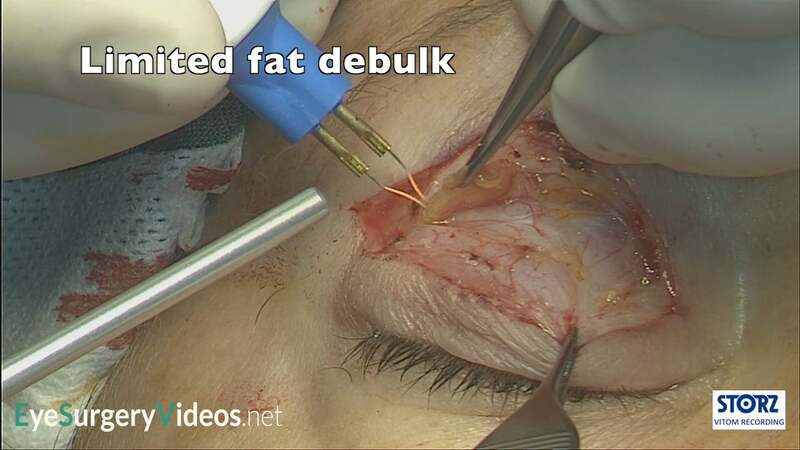 It discusses the mechanism by which the orbital fat may herniate and the difference between subconjunctival and subtenons herniated fat and reviews different techniques for safely excising herniated fat. 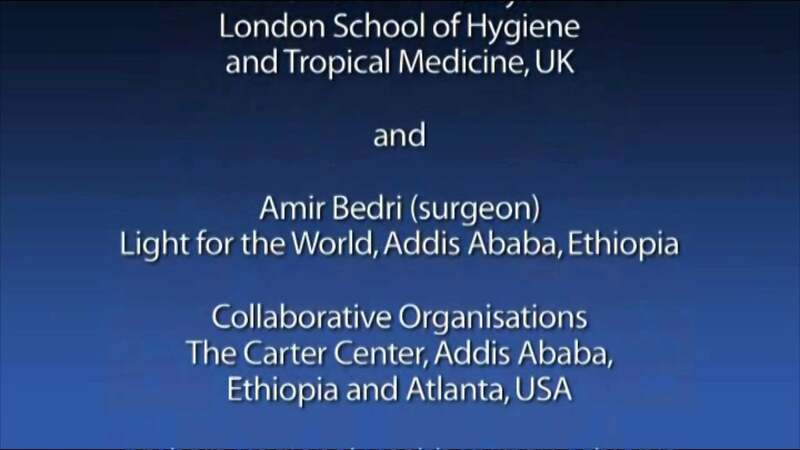 This video was made by Dr David Curragh. 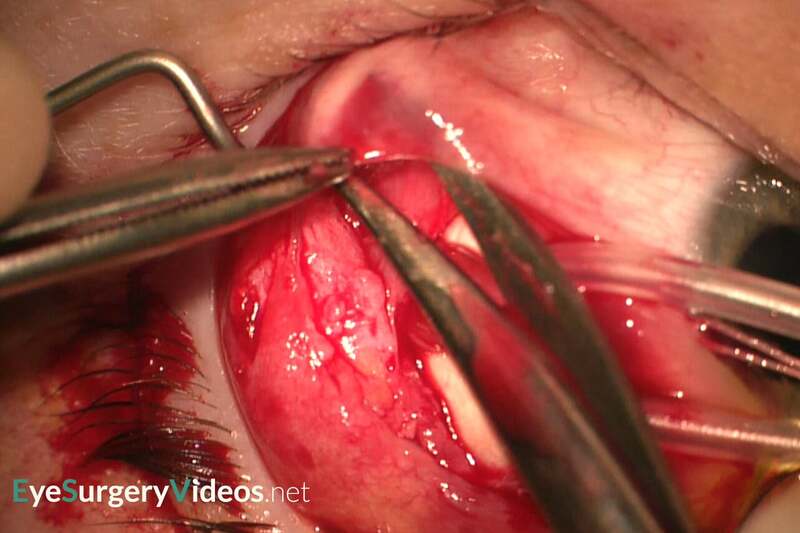 This narrated video demonstrates extraocular muscle biopsy. It reviews the technique, the possible complications and also explores the possible causes of extraocular muscle enlargement. 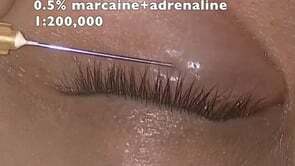 This narrated video demonstrates incisional, punch and shave techniques of eyelid biopsy and explores the advantages and disadvantages of each. 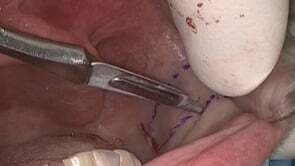 This narrated video demonstrates the harvesting of buccal mucosa and reviews the anatomy of the region, surgical technique and potential complications. Buccal mucosa is a versatile autologous lining material that is used in various surgical specialties including ophthalmology, urology, gynaecology and plastic surgery. 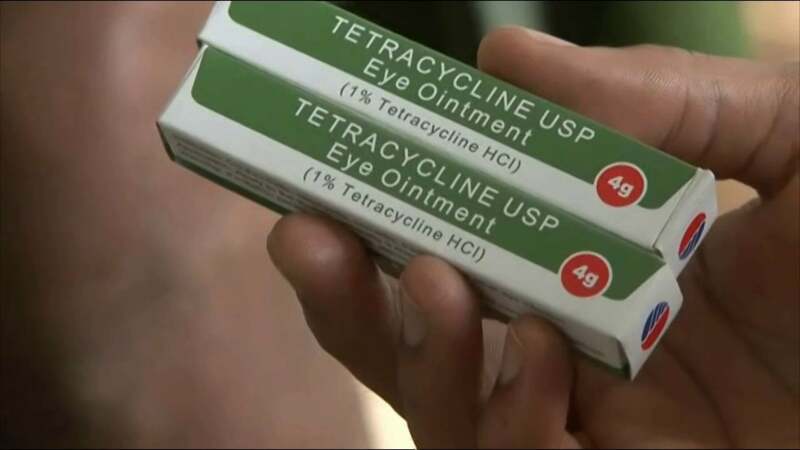 In ophthalmology it is used in eyelid and socket reconstruction. 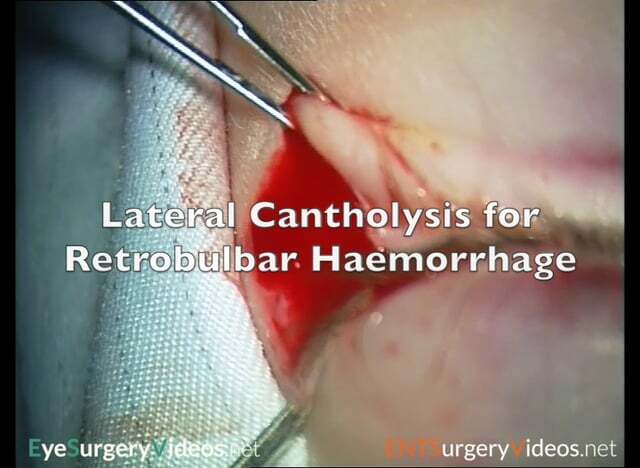 This narrated video demonstrates lateral cantholyis for the management of an acute orbital compartment syndrome from retrobulbar haemorrhage. It shows the compromised retinal vasculature prior to and the resolution of normal venous pulsation after acute management. 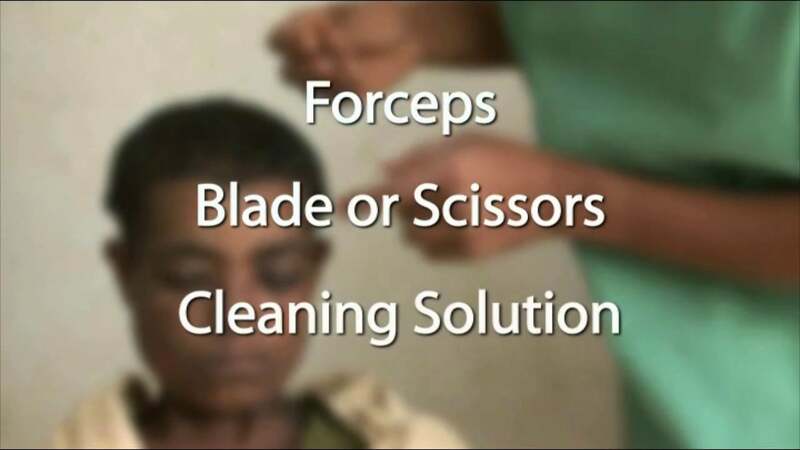 This narrated video demonstrates an upper lid lateral tarsal strip, anterior lamella repositioning and blepharoplasty for floppy eyelid syndrome. 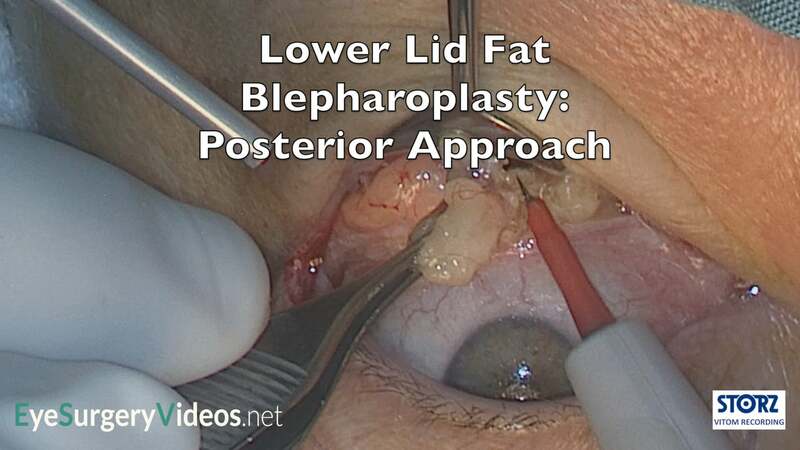 This narrated video demonstrates the transconjunctival lower lid fat blepharoplasty. 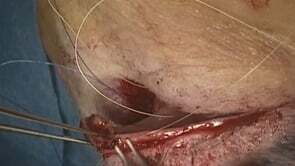 This is an increasingly popular approach to lower lid rejuvenation that avoids some of the risks inherent with anterior approach lower lid surgery and skin excision in the lower lid. This narrated video demonstrates a fascia lata frontalis sling. 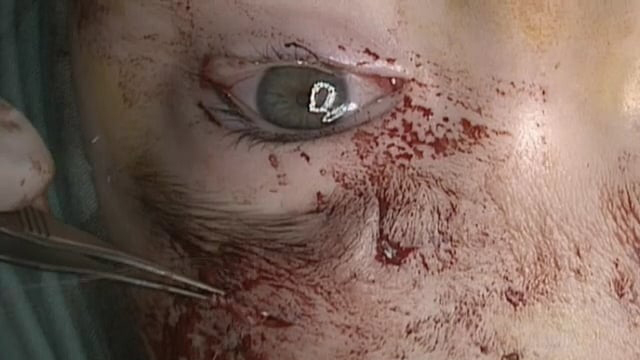 It briefly shows and reviews the fascia lata harvest (this is shown in more detail on another video on www.eyesurgeryvideos.net) and then shows a Fox Pentagon correction with the fascia lata. This narrated video demonstrates upper lid lowering for thyroid eye disease associated upper lid retraction. It reviews the approach to upper lid retractor release and methods of maintaining the skin crease position. We would like to acknowledge Dr Barney Smith, consultant oculoplastic surgeon, who did and recorded the surgery. This narrated video demonstrates an upper lid blepharoplasty with an internal brow pexy. The internal brow pexy is a useful adjunct to blepharoplasty for correcting mild brow ptosis, particularly of the lateral two thirds of the brow. The dissolvable, buried brow pexy suture fixes the brow to the periosteum in the desired position. This narrated video demonstrates the technique for harvesting temporalis fascia. 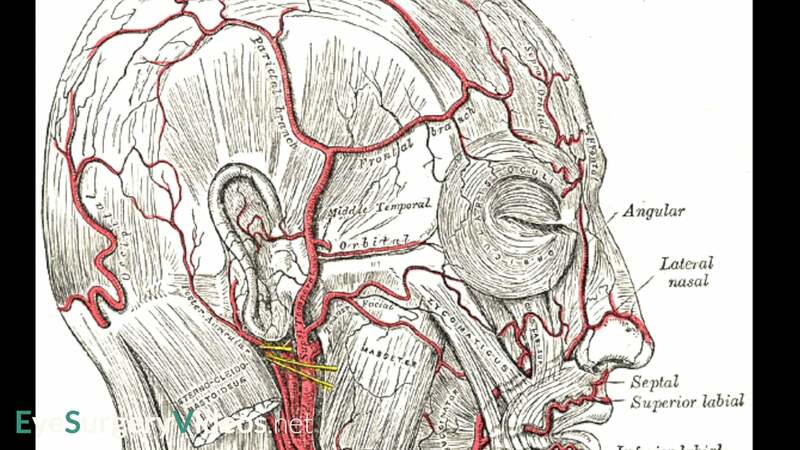 It reviews the anatomy of the fascia and superficial temporal artery. This narrated video demonstrates a direct brow lift with periosteal fixation for the correction of brow ptosis secondary to a partial lower motor neuron facial nerve palsy. 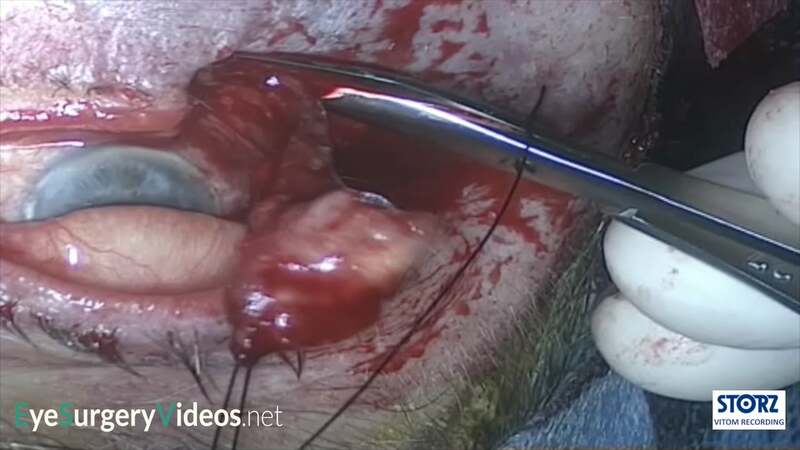 This narrate video demonstrates the excision of a lower eyelid basal cell carcinoma and reconstruction with a lateral orbital rim periosteal flap to form the posterior lamella and full thickness skin graft for the anterior lamella. The narrated video demonstrates one technique of posterior approach upper lid lowering. 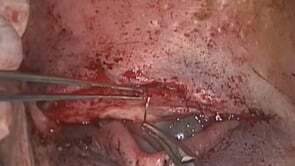 In this technique the upper lid retractors are accessed through a small incision at the superior edge of the tarsal plate and mullers muscle and the levator aponeurosis transected. 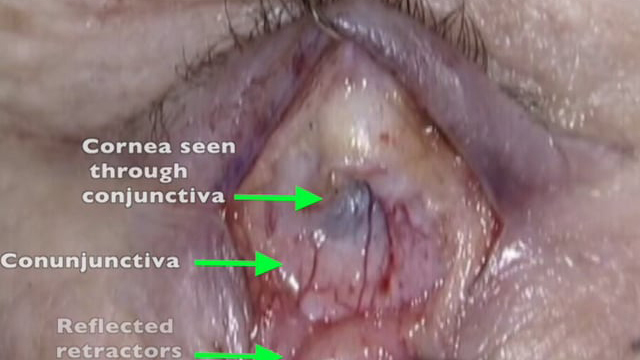 This narrated video demonstrates the division (stage 2) of the Hughes tarsoconjunctival flap. This video demonstrates corneal neurotisation for the treatment of anaesthetic cornea. In this procedure a sural nerve graft is harvested and coapted to the contralateral supraorbital and supratrochlear nerves. It is then tunneled across the forehead and through the lid and fixated to the limbus of the affected eye. 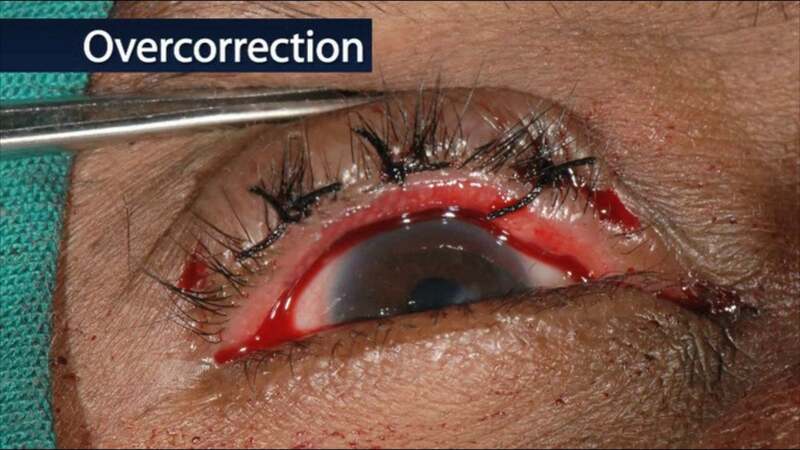 This video demonstrates the Mustarde technique for correction of telecanthus in blepharophimosis ptosis epicanthus inversus syndrome. 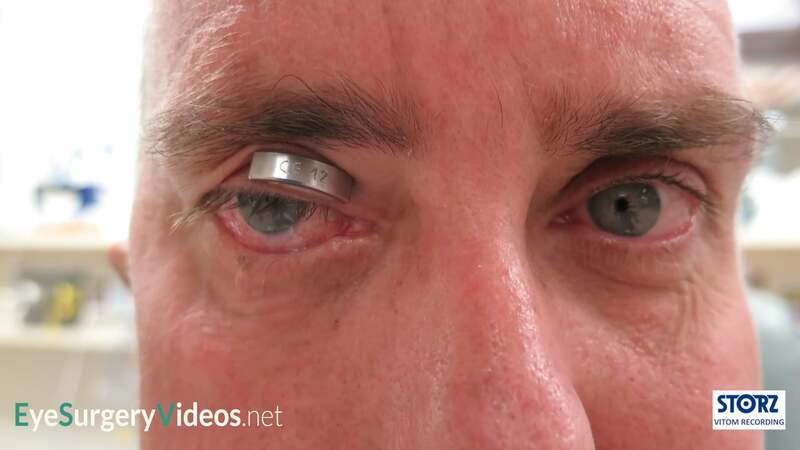 This video kindly donated by Dr Scott Teske of Eye Care Specialists Sunshine Coast Australia, shows the innovative use of a Foley urinary catheter to perform rapid skin expansion for eyelid reconstruction post tumour excision surgery. 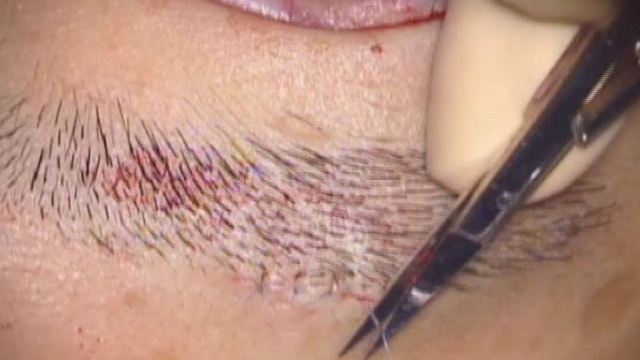 This technique obviates the need for a skin graft in this patient. This video demonstrates blepharoplasty surgeon in an Asian patient. 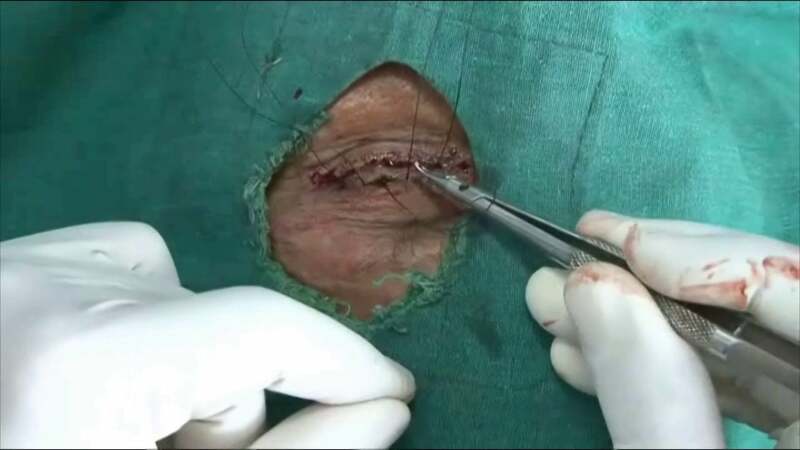 Skin crease reformation sutures are shown. 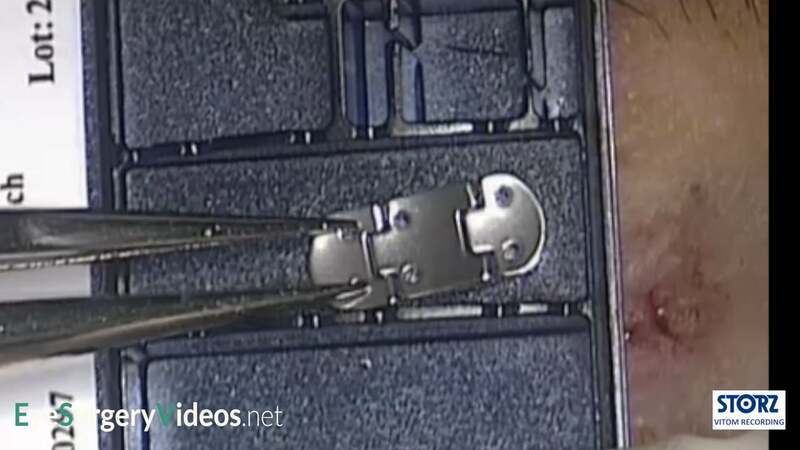 This narrated video demonstrates the insertion of a platinum chain weight into the upper lid of a patient with a facial nerve palsy. 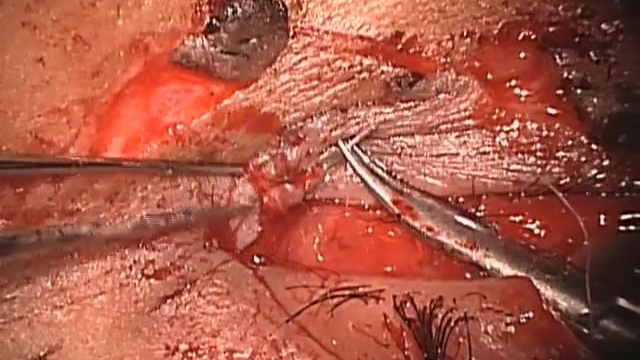 This video demonstrates challenging upper lid entropion correction. This patient has advanced severe cicatrising entropion. An upper lid posterior lamella tarsal rotation is performed. An amniotic membrane graft is used to cover the posterior tarsal surface to reduce the likelihood of disease flair up. This narrated video demonstrates the correction of a myogenic/congenital ptosis with a silicon frontalis sling or brow suspension procedure. 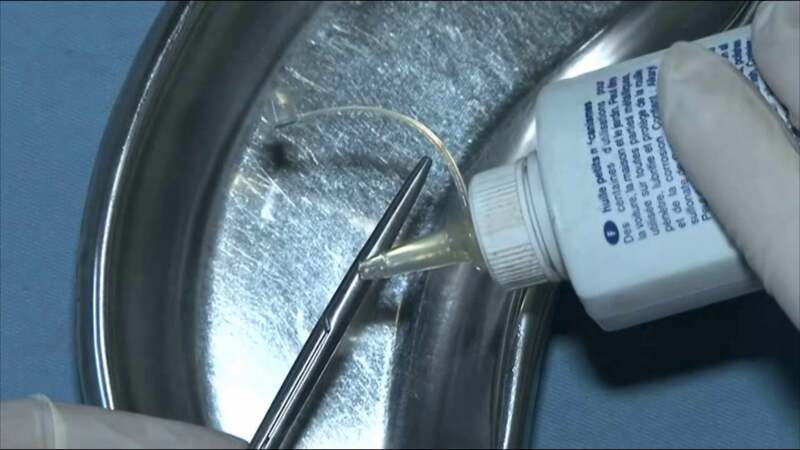 This narrated video demonstrates the repair of a lower lid canalicular laceration using a mini-Monoka stent. This narrated video demonstrates lower lid tightening and lateral canthus re-position in a patient with a congenital VIIth nerve palsy. The procedure shows the reposition of the lateral canthal tendon and a SOOF (sub-obicularis oculi fat) lift to support the new position. 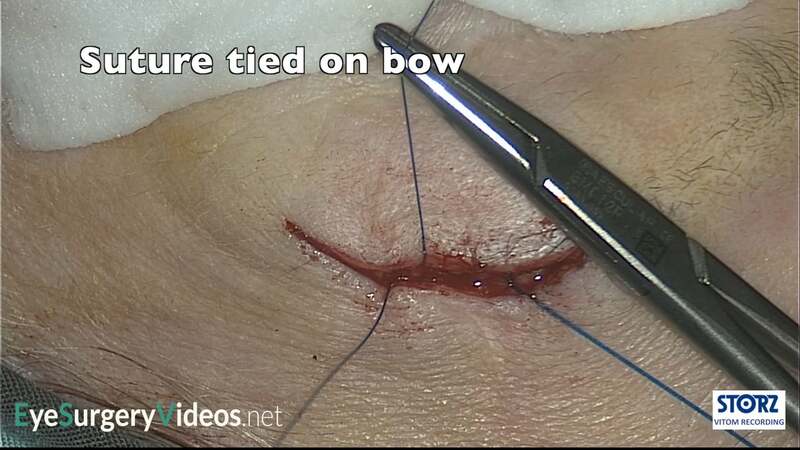 This video demonstrates the use of a Goretex frontalis sling for myogenic ptosis. The Goretex sling is cut from a sheet of Goretex. 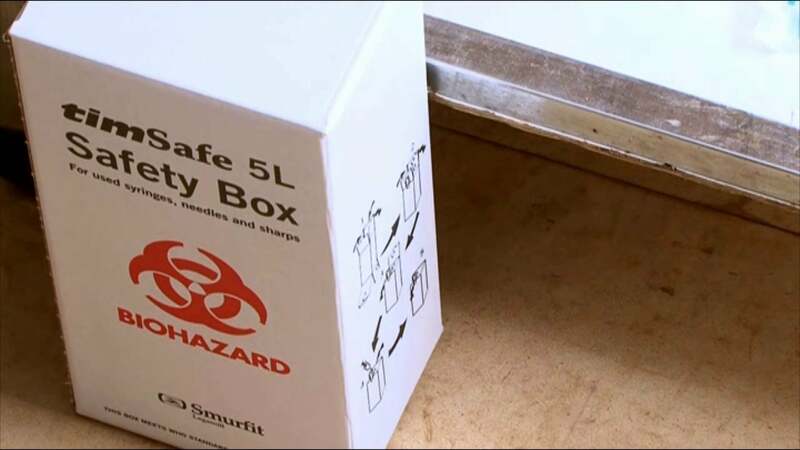 About 10 ‘Y’ shaped slings can be cut from each Goretex sheet and then each individually sterilised and packaged for different patients. This narrated video demonstrates how to select the appropriate weight for an upper lid gold weight or platinum chain. It shows the effect on the lid position of a weight that is too light or too heavy and a weight that is moved horizontally on the lid.